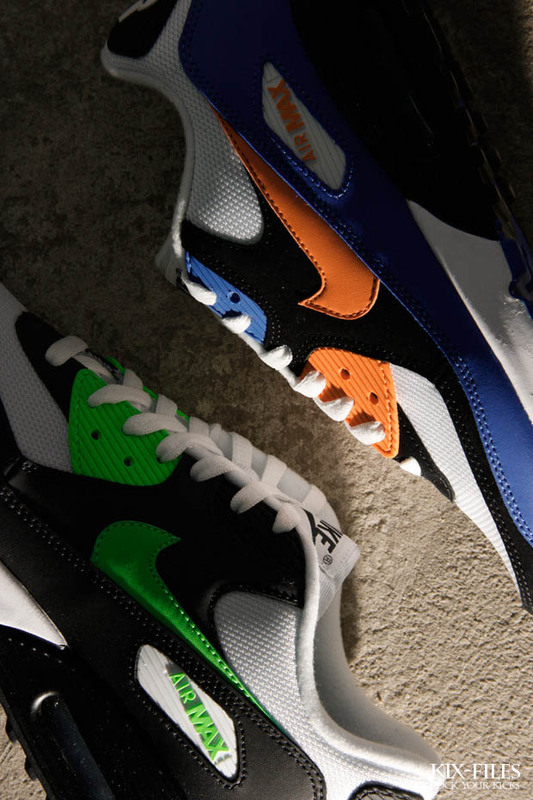 Nike Sportswear's timeless runner returns in two eye-catching colorways this summer. 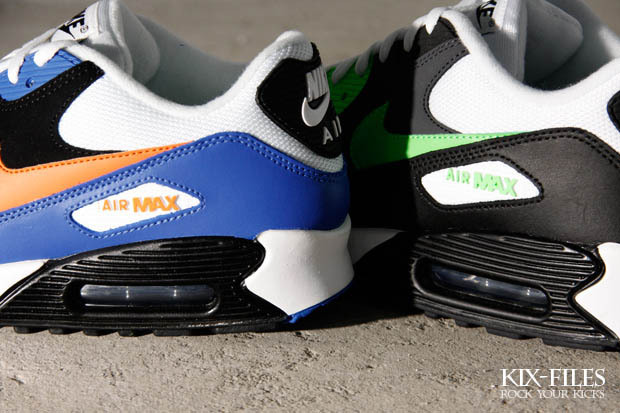 Out of all the timeless Nike Air Max runners that exist, the Air Max 90 may stand out above the rest. More than two decades old, the classic sneaker is as stylish today as it was in the early 90s. 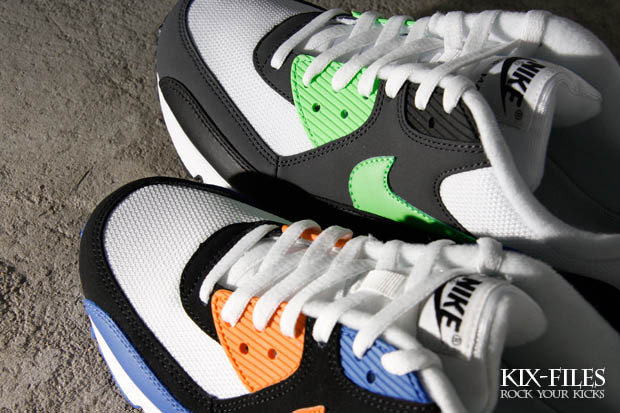 This summer the Air Max 90 hits Nike Sportswear retailers in two new, impressive colorways that will easily find homes in the closets of vintage Nike running enthusiasts. The first pair sports a black leather and white mesh upper with hits of vibrant neo lime on the lace tabs and Swoosh branding. Next up is a pair that has already been called a Knicks and/or Mets colorway. A mixture of blue leather, white mesh and black nubuck make up the upper, while Bright Mandarin orange takes care of the Swoosh and Air Max branding, as well as the lower plastic lace tabs. 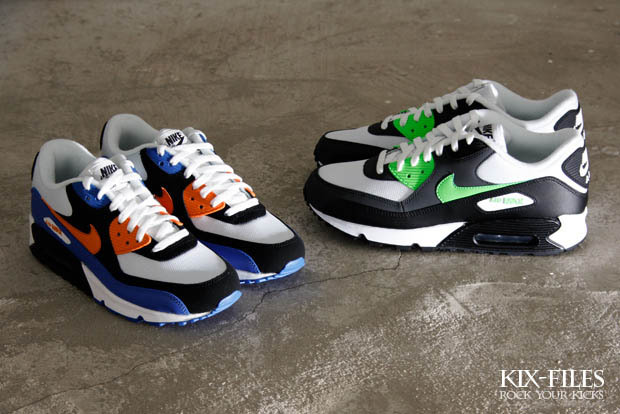 Both new Air Max 90 colorways are currently available at Nike Sportswear retailers like Kix-Files.